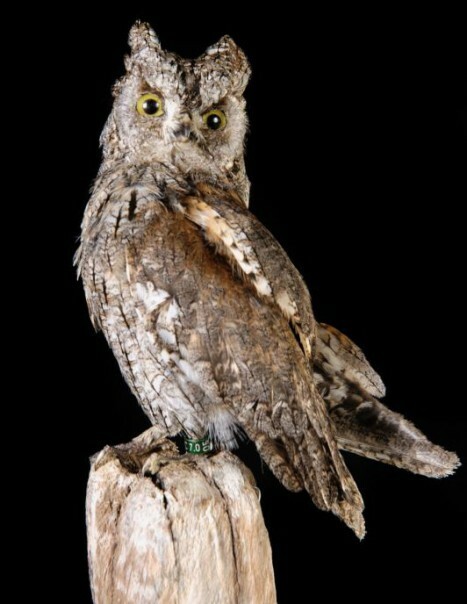 The african scops owl is a small nocturnal bird from sub-Saharan Africa. Its size is indeed similar to the one of the blackbird. Its plumage is black streaked gray on the upper body. Depending on the individual, gray may turn reddish brown. This owl is a migratory bird. It spends the winter in Africa and returns at the approach of warm weather after the swallows. 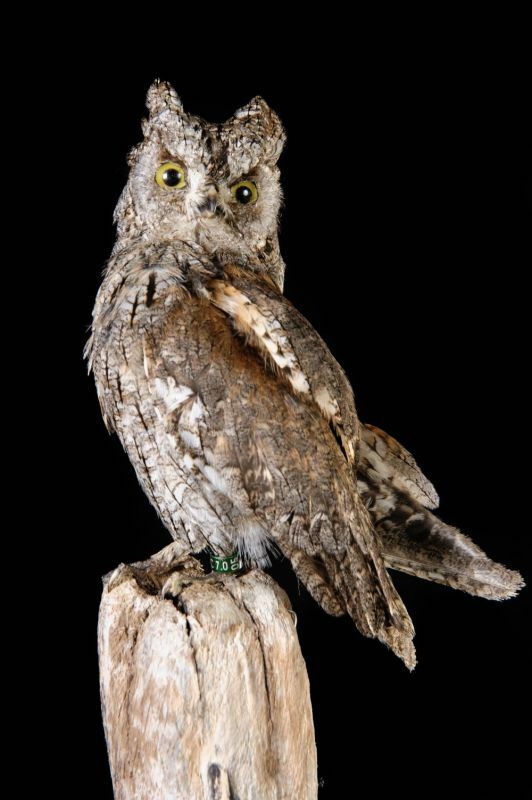 This owl feeds on large insects and small rodents and especially frogs. It finds its food either on land or on the branches of trees on which it is housed. It begins its nocturnal activity by repeating every three seconds its flute-like song. Vocalizations of this bird are easy to spot although sometimes confused with toads. During the mating season, the male and the female communicate through their song. Egg laying begins in the middle of May in small dukes. The female lays 3 to 6 eggs that make up the brood in a cavity created by a woodpecker or in the hollow of an old tree trunk. Brooding is provided by the female alone and lasts 25 days. The chicks are fed until day 21, the age of their first flight.